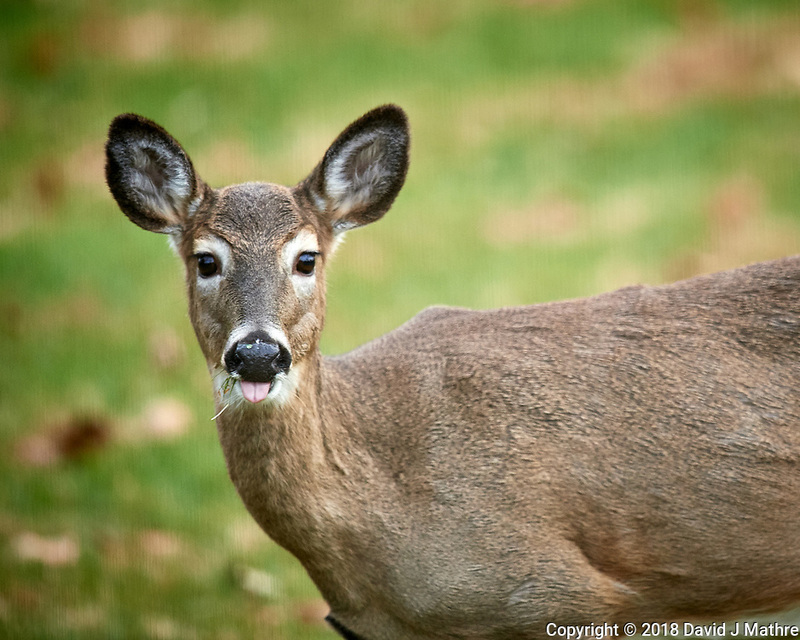 Doe sticking here tongue out. about me. Image taken with a Nikon D5 camera and 600 mm f/4 VR telephoto lens (ISO 720, 600 mm, f/4, 1/640 sec).